© IndiaToday.in Jitendra Malik, alias Jeetu Fauji, was detained from 22 Rashtriya Rifles Army camp in Sopore. He had reportedly fled to J K after the Bulandshahr violence. 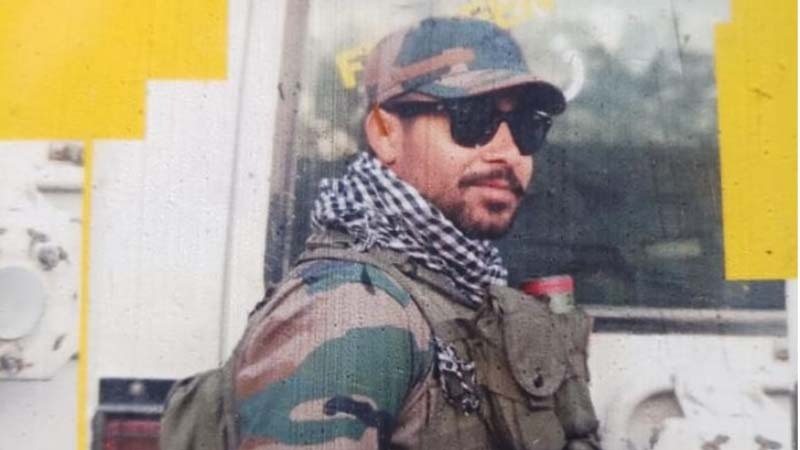 The Army soldier, who is suspected of killing a policeman during Bulandshahr violence in Uttar Pradesh, has been detained by his unit in Jammu and Kashmir and will be handed over to the Uttar Pradesh police on Saturday. Jitendra Malik, alias Jeetu Fauji, was detained from 22 Rashtriya Rifles Army camp in Sopore. Inspector Subodh Kumar Singh and a 22-year-old undergraduate student Sumit Kumar were killed in the violence that broke out in Bulandshahr apparently after cow carcasses were found strewn in a nearby jungle. A special investigation team's (SIT) report had suggested that both of them were shot dead with the same bore (.32) pistol or pistols. Police believe the pistol belongs to Jeetu Fauji who reportedly opened fire, killing the policeman. Subodh Singh's post-mortem examination report has said that a bullet entered the police officer's skull and remained stuck there. The bullet entry wound was 1.5 cm by 1 cm. An X-ray of Singh's head clearly showed the bullet stuck in the rear of the skull. The post-mortem examination also found four to six marks of injuries inflicted by stones. Inspector Subodh Kumar Singh had initially probed the lynching of Mohammed Akhlaq, and the death is, hence, being linked with to the 2015 episode. Subodh Singh's wife and son have alleged conspiracy in view of this and asked the state government for an appropriate probe into this. Yogi Adityanath, who is under constant attack from the Opposition, has termed the riot an "accident". He has also asserted that mob lynchings don't take place in Uttar Pradesh. "There is no incident of mob-lynching in Uttar Pradesh. The Bulandshahr incident is an accident and the law is taking its course. No guilty will be spared," the chief minister said at a media event on Friday. Yogi had earlier said the incident was the result of a "big conspiracy". However, on Thursday, he met with the family of the policeman and assured them all possible help. Yogi also assured the family that he would pay back the Rs 3 lakh loan on their name. A Rs 50 lakh compensation to the family was already announced by the state government.